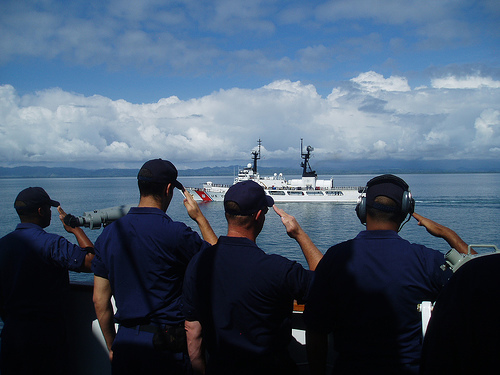 I blogged about the two months I spent on patrol off the coasts of Central and South American on USCG cutter Munro. Check my Flickr photos for pictures of the patrol. Nope, none of me with shiners, sorry. Click here to look at Munro’s own website. Pingback: Dana Stabenow » danamaniacs chat and aloha nui nui! Please Please Please give us more Coast Guards AND Liam Campbells! Just read Bad Blood…when is the next Kate Shugak book coming out? Next year, Rhonda, no exact date yet. Writing Kate21 now, Kate, you’ll see it sometime next year. In the meantime, might I tempt you with my Silk and Song Trilogy? Love the Shugak series! Just read Bad Blood, what a cliffhanger ending. I can’t seem to find a list of these books in order, first to last. Hoping I didn’t miss any. This page, Sharon: https://stabenow.com/novels/kate-shugak/, on the right. Thank you so much. I did find a couple I have missed, so off to the library! Rereading your novels. Love them! Do you have a date for release of your next Kate shugak novel? No release date yet, Vi. Have to finish the book first. Just read bad blood, have loved the series for years, anyway looking forward to the next one! It’s a new year. I’ve been waiting and waiting for you to end my misery. Surely the Kate Shugak series is not at an end. When will you finish the next installment? If a good plot suggests itself, there will be another Liam, but there isn’t one in the works. Sorry to be so vague. And thank you! Loved Less Than A Treason! I hope there will be more in the series. 21 books about Kate are not enough. I love the Kate Shugak series. Starting on the Silk and Song books. Thank you for such great reading entertainment. I’m peddling as fast as i can, Denice. Thank you and please thank your mother for me, too! I have read all the Kate Shugak books and am waiting for a new one soon? Will it be out soon? thanks for such good books. I hope next year, Linda, and thanks!